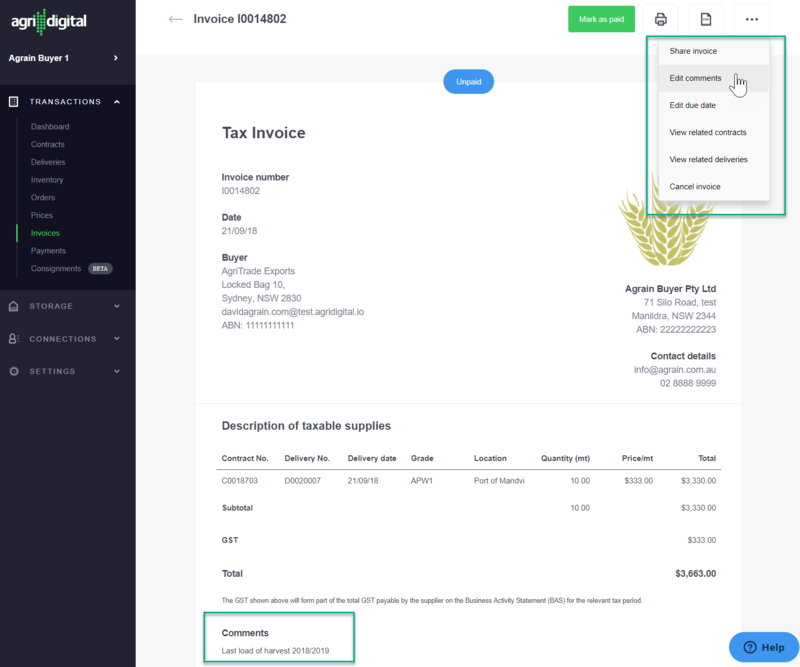 You can now add comments to invoices simply and easily. The comment on the invoice will be visible by everyone who has access to that invoice, including the creator and the counterparty. The comment can be added regardless of the status of the invoice, and you are free to edit the comment whenever you please. READ ON to find out how! As a the creator of an invoice, you can add a comment to the invoice at any time, no matter the Invoice status.